I don't easily take medications for aches and pains. I normally would just ignore it until it goes away on its own. Sometimes, a good massage really helps to take away the pain, but I don't always have the time for that. 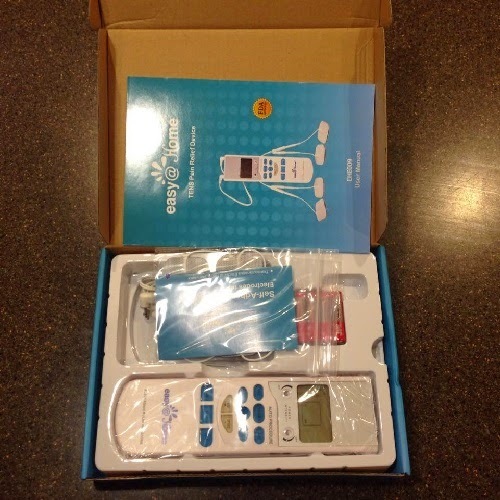 Today's discussion is about the Easy@Home TENS Handheld Electronic Pulse Massager Unit. 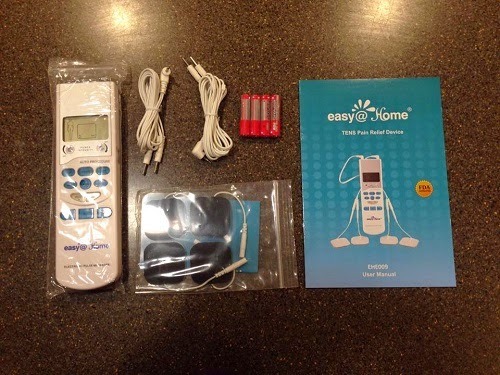 - Easy@home EHE009 Pulse Massager TENS (Transcutaneous Electrical Nerve Stimulation) UNIT is portable, compact, natural & drug-free, stylish, easy to use product, which delivers electric impulses to nerves, muscles and cells in different part of our body. The impulses used in proper strength and frequencies make continuous and gentle stimulation to trigger the body producing natural response to block, relieve pain and to stimulate the regeneration of tissues. - Natural and Drug Free Way for Pain Relief - Pain Relief without Medicine! TENS stimulates your body to produce higher levels of its own natural painkillers, better known as "Endorphins". - The product is approved by FDA for OTS use. Powered by 4 AAA batteries (Included). - Large LCD screen shows you at a glance exactly what is happening, including the type of massage "Massage, Beat, or Knead" and the time left on the cycle. It's fully automatic! . Programmatic Patterns of Stimulation with 6 Auto Procedure Options and 10 Levels for Power Intensity knobs. - About the size of a remote control, this unit packs enough power to thoroughly massage your body, but can travel with you anywhere you like. Take it to the gym, on a trip, or even to the office - it fits in your briefcase or purse. - Excellence Guarantee: We offer a 1 year hassle free replacement guarantee for customers. I suffer from back issues from time to time. One wrong bend and my back will ache for days. Although stretching helps ease the pain, it does not take the pain away immediately. This is my first time to use a gadget to block the pain and boy, was I glad I did. 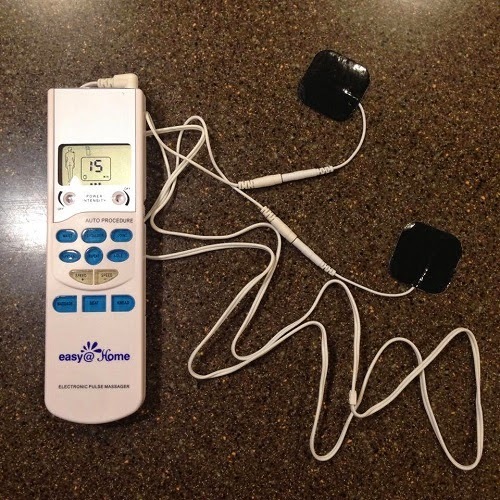 TENS or transcutaneous nerve stimulators apparently help relieve aches and pains. What it does is blocking the pain before it even reaches your brain. I used it on my back and I immediately felt the electrical signals stimulating my nerves. It was soothing and I felt my muscles suddenly relax. After using the pulse massager, my back felt better. Overall, I like the massager and I love how it helps me manage back pain. If you're looking for a product to naturally relieve you from aches and pains, this is a good one to try. 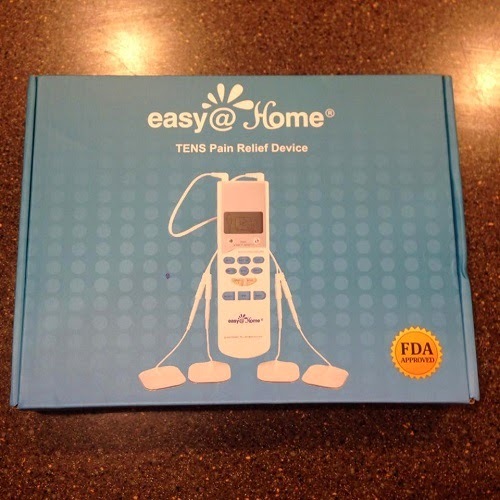 You can purchase the Easy@Home TENS Handheld Electronic Pulse Massager Unit through their website and on Amazon. 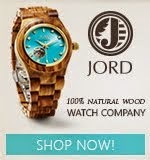 It's fairly priced at $30.95.